What Is Infor CRM Customer Service? The Infor CRM customer service module enables support and customer service teams to resolve customer issues whilst providing outstanding customer experiences. 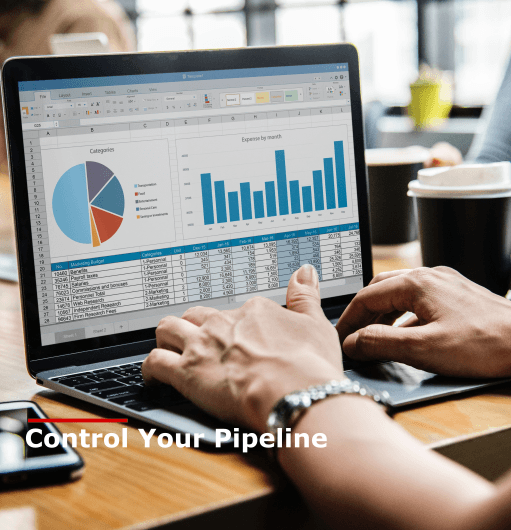 As a native module iside of Infor CRM (formerly Saleslogix), it integrates seamlesly with the CRM and allows you to track customer service issues across customers throughout the CRM and across different departments. 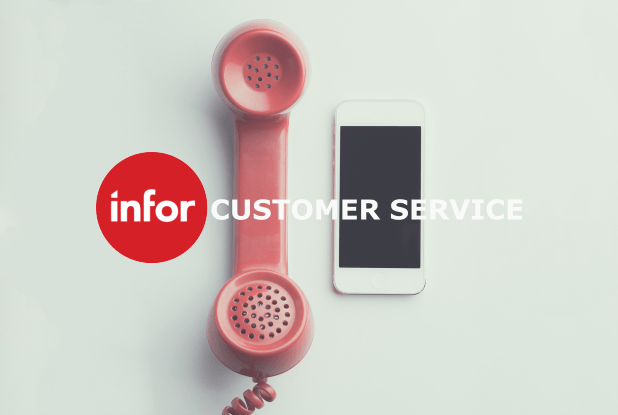 What are the benefits of using Infor CRM Customer Service? Support staff can raise a unique ticket for tracking customer problems, as customer service reps work on a resolution, all activities, emails, phone calls and documents are logged against the ticket. Infor allows you to manage and prioritise all tickets so nothing is overlooked. Support tickets contain detailed information such as unique ticket ID, status, urgency, contact information, assignment and more. Tickets can be automatically assigned to a member of staff based on their particular skill, or any other criteria you require. The customer service and support module within Infor CRM enable you to manage and track customer contracts, including details such as contract ID number, contract type, service level, end date and amount. The system also has a timer, so you can track how long you have spent working on each contract. Infor CRM customer service includes a sophisticated Speed Search and knowledge base, designed to enable access to information quickly to help resolve customer support issues. Automate support processes using the workflow functionality found in Infor CRM customer service, so nothing is left to chance. Emails from Outlook can be tracked and stored against each customer, contact, and support ticket, this allows users to refer back to previous correspondence. Infor CRM also allows for tight integration with Microsoft Office, so all documents can be recorded. If a situation arises where there is a product defect, you have to be prepared. The customer service software in Infor allows you to track and escalate product defects and categorise incidents. Track product defect details such as type, status, severity, description, and full contact history. Infor CRM also allows you to track return material authorisations (RMA). The cost of acquiring new customers is significantly higher than retaining existing clients, Infor CRM helps to improve the customer experience which has a positive impact on maintaining high customer retention rates. Create reports to analyse support trends, support call turnaround times, unresolved tickets, call stats and much more. 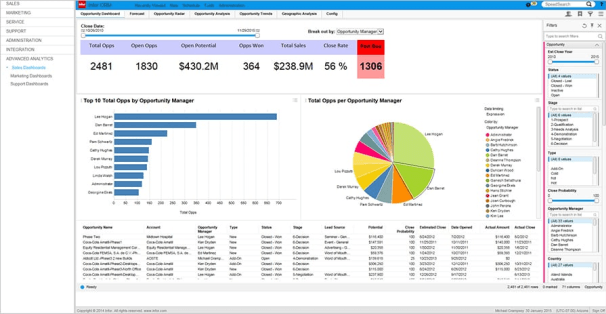 Interactive dashboards allow you to quickly drill down on a variety of key performance indicators. Arm your sales staff with a complete history of all support tickets, product returns and outstanding issues, so before they call or visit a client they are aware of any potential problems.